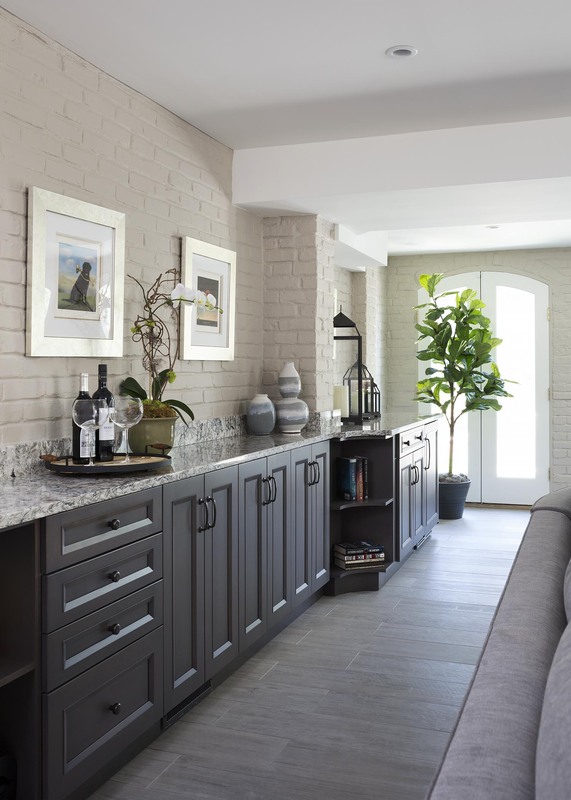 Improve Your Bethesda, Maryland Home With An Amazing Basement Remodel! In many Bethesda, Maryland homes, basements are little more than spare space that is only used for storage and laundry. However, most have the potential to be absolutely amazing - all they need is a little vision and some help from a qualified team. Whether you want to turn your downstairs into the ultimate party place, a cozy den that’s perfect for watching the game, or an extension of your upstairs living space, we can help with all of your basement remodeling needs. Unfinished or partially finished basements are common throughout American homes. Though they often mean investment and quite a bit of hard work, they also have nearly unlimited potential! At InSite, our team of designers and craftsmen are experts in the art of turning a drab, semi-spooky basement into the space of your dreams. We can help you bring your basement remodeling dreams to life by transforming that unfinished space into something the whole family will love. In virtually every home, there are things the owners absolutely love. There are probably also several aspects of it that they don’t care for. Fortunately, many of the things that aren’t great about a home can be changed. At InSite, it’s our goal to help make your entire home enjoyable - not just the upstairs. With a little help from our expert designers and craftsmen, your basement can come to life, adding more space for you and your family to enjoy for years to come. Our designers have years of experience in turning boring basements into breathtaking living spaces, and are ready to bring their basement remodeling skills to your home. They can make craft rooms, guest rooms, home theaters, game rooms, dens, and more come to life, adding value, functionality, and uniqueness to your home. Generally, there are two parts to any basement remodeling project: the design phase, and the construction itself. As a design-build company, our service encompasses every aspect of both phases: we’ll take care of the entire project from start to finish! Our designers will work with you to put your dream on paper, and then our builders will make it a reality - down to the smallest details. At InSite Builders & Remodeling, quality is one of our most important values. We understand how important your home is to you, which is why we only invest in the highest quality tools and materials. A craftsman is only as good as the resources they have available, and we want to make sure ours have everything they need to make your home absolutely stunning. Speaking of craftsmen, we go the extra mile to select only the best builders, designers, and architects to join our team. They are among the best in their fields and are ready to bring their basement remodeling skills to your home. Why Invest In Basement Remodeling? We all know that kitchens and bathrooms both increase the value of a home. However, finished and functional basements can significantly increase your home’s value as well as its appeal. Additionally, a finished basement can add hundreds of square feet to your living space, and the increase in your quality of life that comes of that is priceless! We strive to be among the top remodeling companies in Bethesda and the surrounding areas, and spare no expense in making sure your basement remodeling project exceeds your expectations. You can be assured that our exceptional team members will do their finest work, and that your hard-earned money will go towards the best materials we can possibly procure. When it comes to basement remodeling (in truth, any remodeling) your needs and wants are the most important thing to consider. Every person and family we work with enjoys a different lifestyle, and we want our finished work to accommodate and reflect it. Whatever your preferred style may be, we’re ready to integrate it into your brand-new basement remodel.